Images play a major role in any marketing either online or offline marketing. They add a new edge to your business and help it to stand out. With the help of user understand a certain topic in depth. If you are social media marketer or blogger or writer, you know how difficult it can be to find the perfect image for your post. Photos are most important for boosting engagement, for these images you have to pay, and finding a great one is difficult task and time-consuming. 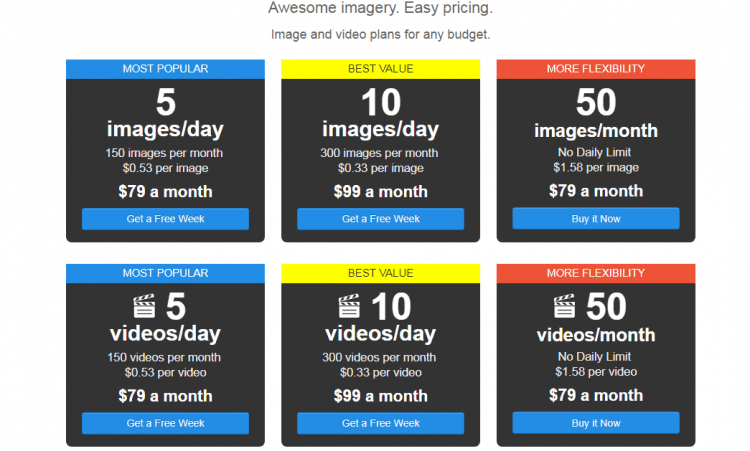 Here is a list of 10 high- quality stock images for websites and blogs. 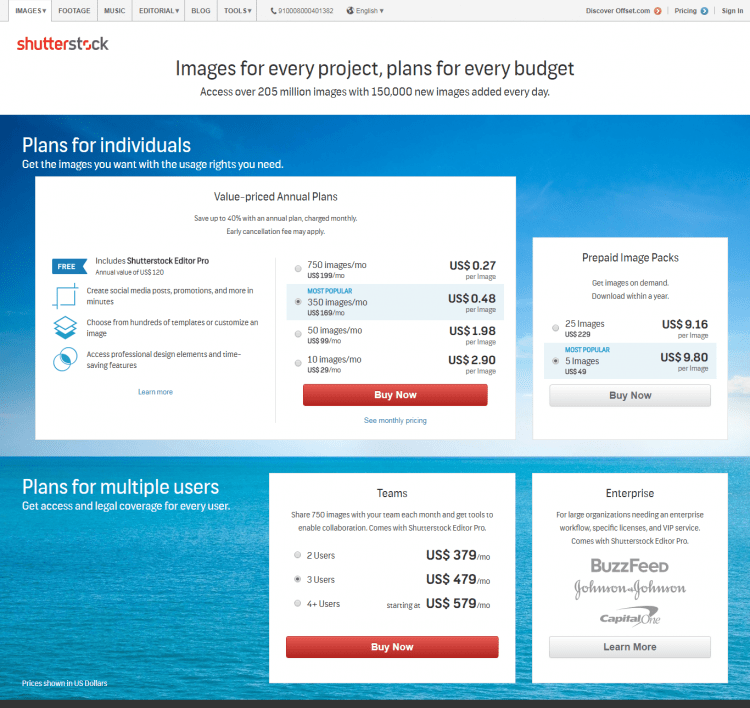 Shutterstock is one of the most popular and largest stock image platforms worldwide, and offers a massive array of images, as well as dividing out into vectors, illustrations, footage and even music. It has more than 200 million royalty-free stock images in its library. Bigstock is a user-friendly market for stock images that claims more than 67 million royalty-free photographs and illustrations. It has a huge array of choice, high-quality images and reasonable prices. Getty Images has a big name in the stock image world, with over 80 million images and illustrations as well as over 50,000 hours of video. It has a huge global community of photographers and videographers to source custom visuals for all your creative campaigns. If you are looking for a website with high-quality, professional photos, this is the best place for you. The photos are organized in different categories letting you search the apt images easily. You can also use the search bar at the top to search for specific photos. These images come with a royalty-free license and can be used commercially. Pexels is the best website for free stock images. You can use pictures for a personal or commercial drive. The photos are professionally clicked high-quality images. It has mainly outdoor images including landscapes, buildings, crowd, beaches, and so on. All the images come with a Creative Commons Zero (CC0) licensing, so you can use these images for both personal and commercial campaigns. Gratisography is the best place if you are looking for creative images for your site. It is an amazing site which hosts free high-resolution images that you can use for professional and personal campaigns. The images here look really vibrant with an outstanding color replica. You will get thrilled by the creativity of Ryan McGuire, who has clicked all the photos beautifully. The images have been categorized into different categories such as animals, nature, things, people, urban, and creative. StockSnap offers royalty-free images with copyright restrictions (CC0) – no attribution required. It has high quality and high-resolution images that look good. Its photos are curated into categories of like-minded images. Burst is created by Shopify. It has free photos suitable for designers, bloggers, web developers and moguls. If you are a businessman, this might be the best place to discover royalty-free stock photos for you. It has around 1000 images present on the website; the pictures have been taken by paid professional photographers. These images are offered under Creative Commons Zero (CC0) license which lets you use them for any purpose. You can download a single image or the complete collection. Adobe Stock is a great, professional stock photo service offered by renowned software company Adobe. It has over 90 million high-quality royalty-free, creative, graphics, illustrations and 3D assets and you can use in your social ad campaigns, email templates, and websites. It’s a great way to increase customer happiness and generate additional revenue and it’s easy to implement. 123RF is a royalty-free stock images seller that brings an uplifting change and has a great image search engine. It has more than 103 million royalty-free photos, vectors, footage, icons, fonts and audio in its library. It provides a bigger range of categories of images.